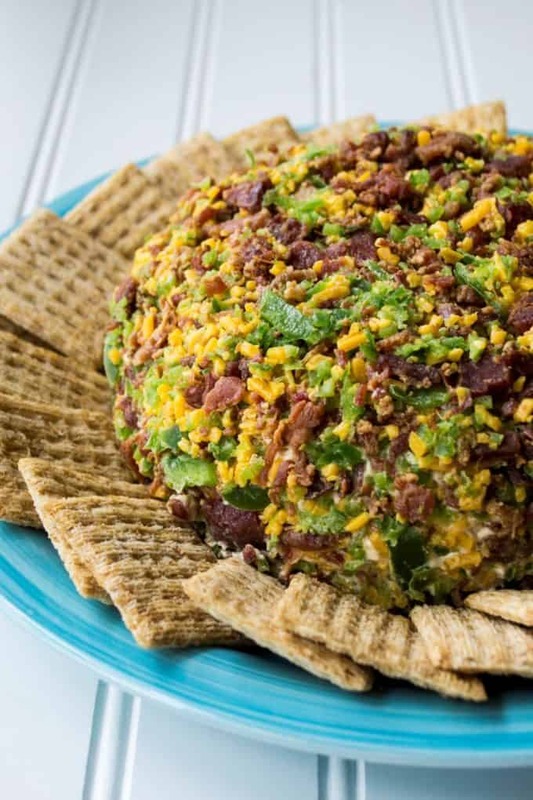 Bacon Jalapeno Cheese Ball recipe is easy to make and always a party favorite. 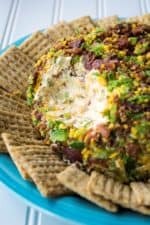 Made with tons of bacon, jalapeno and cheese, this Bacon Jalapeno Cheese Ball is the ultimate party food and the best cheese ball you will ever try. (JUMPING UP AND DOWN!!!!) As July creeps to an end, my mind immediately fast forwards to what is coming next. Football! Football. Football. Football. 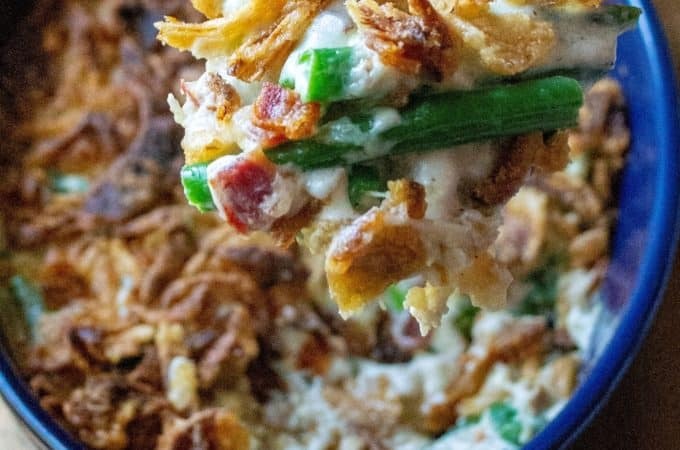 And with the start of college football season comes an excuse to make this Bacon Jalapeno Cheese Ball. Let me explain .. since Big Scary Mike and I do not have little human children of our own, there is no reason to get excited about kids going back to school, which is the stepping stone between July and Football Season. Other than huge savings on discounted office supplies (YES!! ), August is just the waiting room for what is going to come and what we have next is college football. Fast forward to what ever Saturday in front of the TV needs .. that’s right!!!! 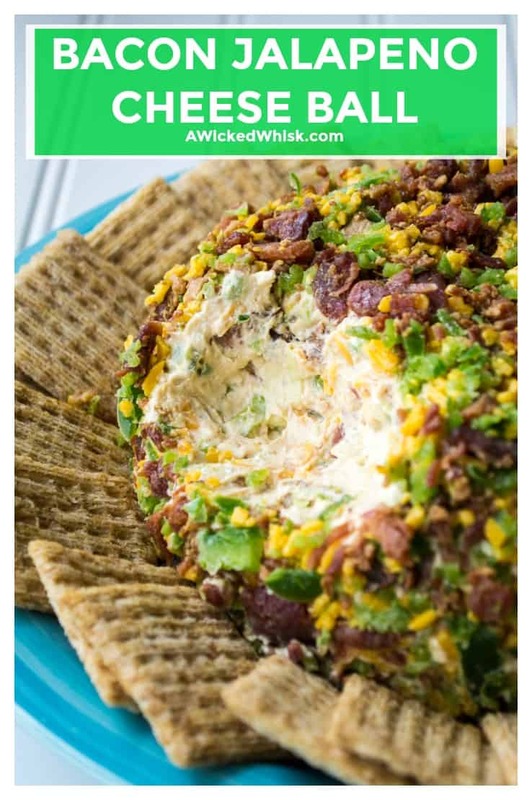 .. Game Day food and most importantly, this recipe for the Bacon Jalapeno Cheese Ball you will EVER have. Football and finger foods. It’s like a natural evolution of life. So what is a girl to whip up and serve to satisfy hungry, excited, screaming fans come Saturdays this season? Bacon Jalapeno Cheese Ball!!! 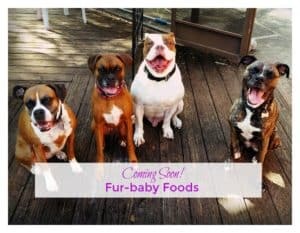 Go ahead, say it, see how easy that rolls off the tongue. Bacon Jalapeno Cheese Ball! You get happy just saying it. Every year, I feel compelled to step up my game when it comes to football food. There is no way that I could just grab a bag of chips and toss it on the couch while we are watching our games and think that that would even be acceptable. 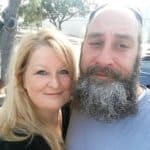 Before anyone else says it, yes, my husband has become very spoiled over the years and the look that I would get if I actually did that is enough to make you laugh. Haha Big Guy, I’ve got you! This Bacon Jalapeno Cheese Ball is ridiculous! 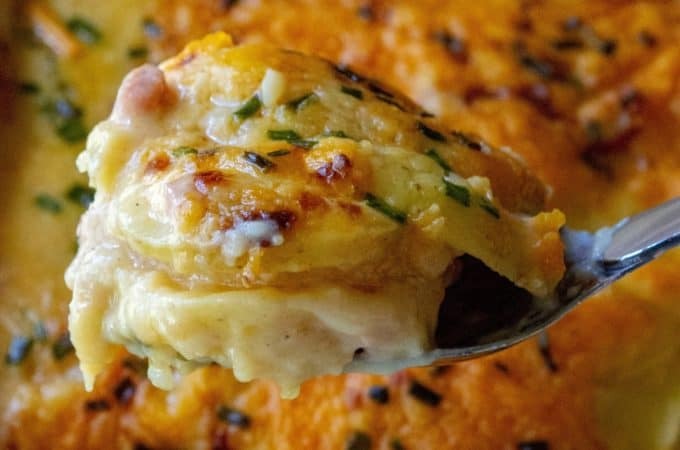 It is super easy to make, it feeds a billion people (no exaggeration) and it is absolutely irresistible. Talk about the perfect thing to serve at a football party, social gathering, potluck, holiday get-togethers (yes, that too is right around the corner)… this Bacon Jalapeno Cheese Ball is the perfect party food absolutely anytime! HOW LONG CAN YOU KEEP A CHEESE BALL IN THE REFRIGERATOR? Since the main ingredient in a cheese ball is cream cheese, which ordinarily lasts for a week or two in the fridge once it’s opened, it’s an easy appetizer to make ahead of time. But because you are using fresh jalapeno in your Bacon Jalapeno Cheese Ball, the life of your cheese ball shouldn’t be more than 3-4 days. HOW LONG CAN YOU KEEP YOUR CHEESE BALL AT ROOM TEMPERATURE? According to the food safety experts at the US government, cream cheese shouldn’t be out of the fridge for longer than three hours. 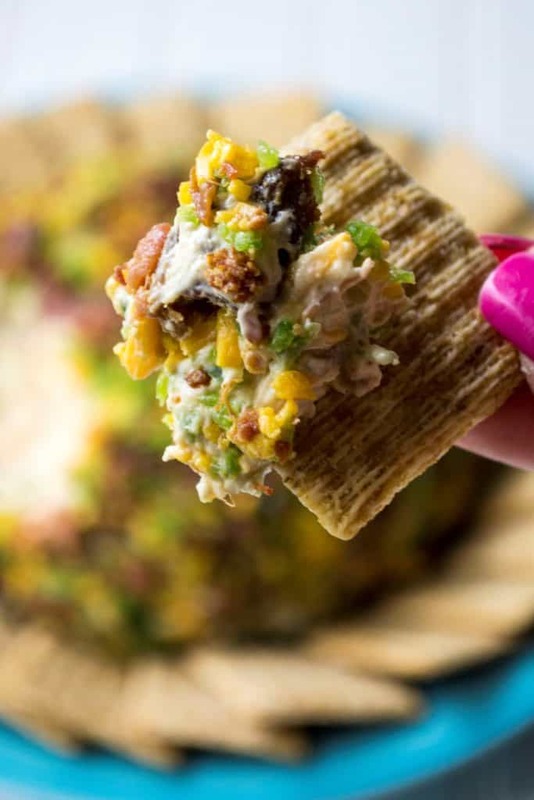 Keep in mind to take the chill off your Bacon Jalapeno Cheese Ball before your guests start digging in by taking it out of the refrigerator 20 minutes before serving. 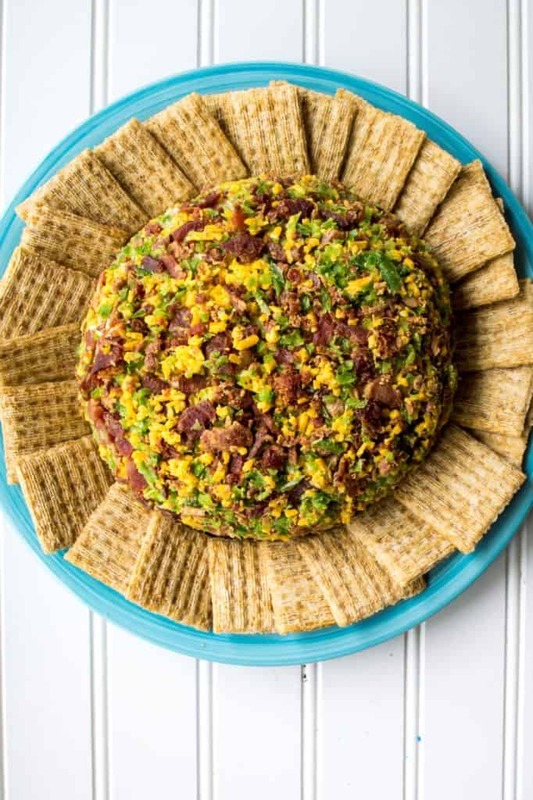 HOW DO YOU MAKE THIS BACON JALAPENO CHEESE BALL? 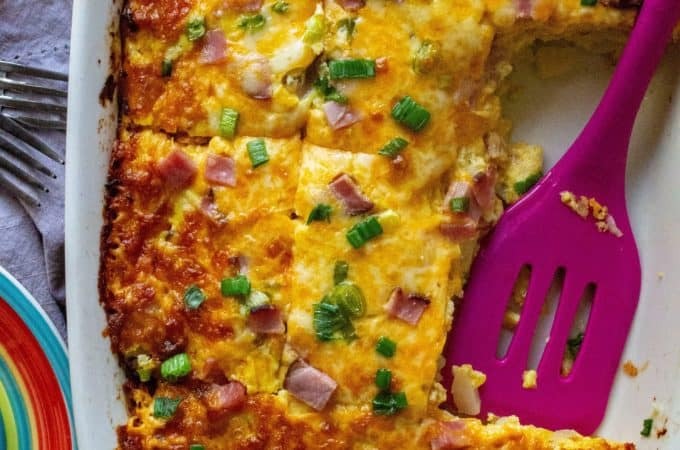 Looking for more mouthwatering Game Day food to nosh on? Check out my Crispy Baked Potato Skins, my Philly Cheesesteak Sloppy Joe Sliders and my Spicy BBQ Crockpot Meatballs! When ready to serve, mix together the Outside Garnish ingredients in a small bowl. Remove cheese ball from refrigerator and using you hands, try to mold into a ball shape. Turn out ball onto your serving plate and lightly pat garnish ingredients on top and on all sides of cheese ball.